Sydney FC need their strikers to rediscover their form after falling nine points off the lead in the A-League. The Sky Blues went down 2-0 at home to Melbourne City at Leichhardt Oval, making it three games in a row without a goal. Steve Corica's side are now just one point ahead of third-placed Melbourne Victory and have just five games left to try to catch top side Perth Glory and win their third consecutive minor premiership. English striker Adam le Fondre netted 10 times in the club's first 11 games this season, during which time the team as a whole scored 23 goals. Corica has faith in the former Reading man's combination with recent signing Reza Ghoochannejhad, but the goals have dried up. They have only scored 13 goals in their last 11 games, with le Fondre contributing four of them. 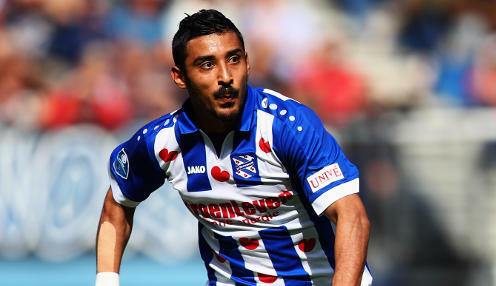 Former Iran international Ghoochannejhad has scored just one goal in his first seven A-League and Asian Champions League appearances. He's started six of those games but was substituted in all of them. Corica admitted this week's international break is coming at a good time for his club after they were held scoreless in their first two ACL matches. "We brought Reza in and he's a quality player and we wanted him to score more goals and he will score at the right times," said the coach. "They've got a good combination going, him and Adam up front. "We've creating a lot of chances and at times we should be scoring more goals." The Sky Blues are hoping to have marquee Siem de Jong and Daniel De Silva both available for their next match against Brisbane Roar. De Jong has played just 11 league games, while De Silva has started only four matches and made 11 appearances off the bench. Sydney FC are 2/1 to win the Grand Final this season 1/2 to win their next game against Brisbane Roar, who are 5/1 to triumph with the draw 7/2.